Cards in original packaging with LWB; deck never used. Box has shelf wear. 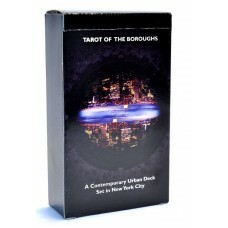 Tarot of the Boroughs is a full 78 card Tarot deck composed of spectacular original photography, set in New York City. 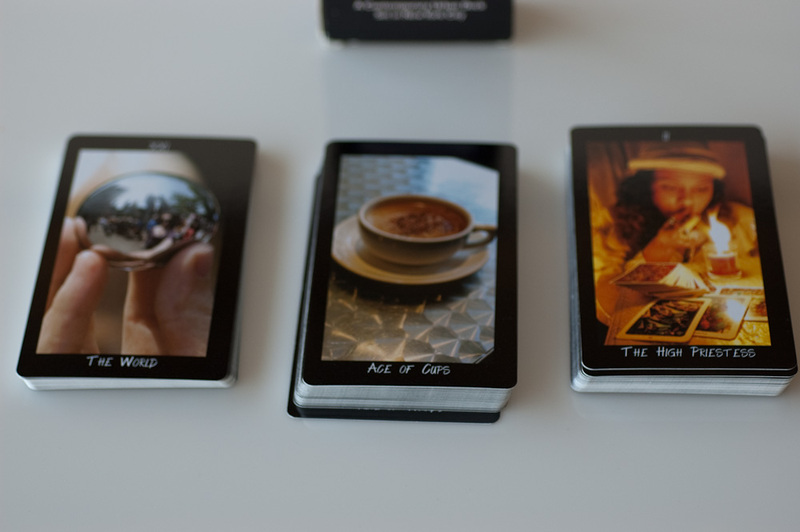 Inspired by the classic Tarot, Tarot of the Boroughs captures the Tarot's timeless images in contemporary incarnations. Tarot of the Boroughs replaces the esoteric with the familiar, easily taking the reader into the heart of the Tarot's stories. Mystical tarot decks are easy to find. Tarot of the Boroughs is unique and features New Yorkers from all walks of life as well as well-known writers, visual and performing artists including Moby, Jonathan Ames, Reverend Jen Miller, Lilith Dorsey, Velocity Chyaldd, Larkin Grimm, Reverend Billy and Imakhu Mwt Shekemet among many, many others!